DAVID LE/Staff photo. 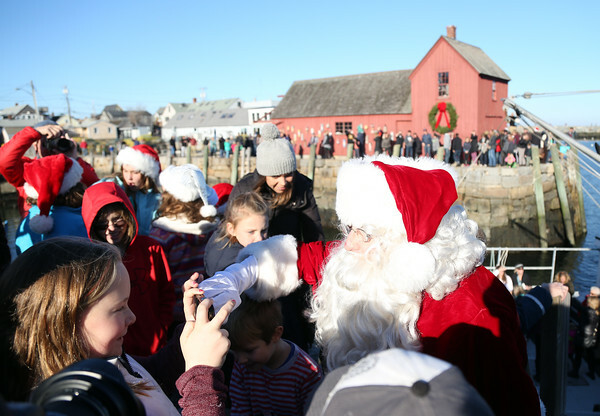 Santa greets young spectators after arriving via boat to T-Wharf in Rockport on Saturday afternoon. 12/5/15.